A Feral Barbary Dove in Tasmania, Australia. Many new dove owners are pleasantly surprised to see the reaction of their bird when they return home from work or other errands. Many compare it to that of a dog. Their Ringneck Dove will begin flapping its wings, cooing and showing its genuine joy that you're home again. When you open the cage door it is almost certain your dove will fly directly to your shoulder. It is a truly rewarding feeling to see this expression of love from your pet. The lifespan of Ringneck Doves - Doves can live to be 20 to 25 years old, with some reported to live much longer. The key to a long and happy life for your pet Dove is proper care and nutrition. The Proper Cage - Doves can thrive and even breed in a cage as small as 2ft. x 2ft. If you do house your dove in a small cage like this you should provide it with plenty of time out of the cage. They need the opportunity to fly and stretch their wings. The best rule of thumb is to provide the largest cage you can afford and have space for. Proper Nutrition - There are several commercial brands of dove food on the market. These are readily available online or at your local pet store. Doves also do very well on a good quality wild bird seed mix. A mix that is formulated for a wide range of birds is best when using the wild bird seed. The choice of using a commercial brand of dove feed or a wild mix is a matter of personal preference. The difference in the two is that the commercial seed is better cleaned and processed to eliminate undesired contaminants. 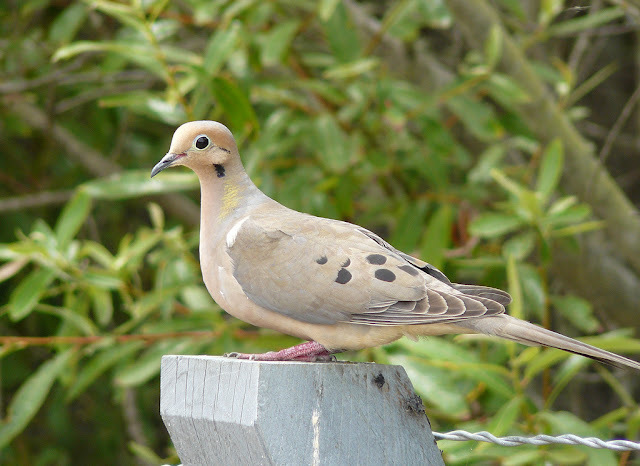 Don't Overlook A Dove When Considering Your Next Pet Bird. Pigeon racing has been around since the 1800's and has lived on to this day. The fascinating aspects of the sport are numerous, to say the least, and the bond that man can create with the bird is a treasure that everybody needs to experience at some point in their lives. However, I've noticed recently that the sport is steadily declining in popularity. Sure, we still see a plethora of websites about pigeon racing on the internet. But if you notice, none or only a few of them don't go out on a limb to promote the sport at all. All we see are charts, racing results, pigeon auctions and obscure pedigrees. All of these only serve to bore those people who have not been exposed to the hobby yet. If we wish to promote the sport to as many people as possible, we have to begin focusing again on the things that led us to the sport in the first place. The sport's decline in popularity can perhaps be attributed to a lot of factors. First, kids today have a short attention span. This is why most of them tend to lose interest when they discover that racing pigeons take a lot of time and effort. Children today would rather go to the internet and tend to their online farms instead. Or maybe the thought of taking care of pigeons is not their idea of being "cool". Here's what I think. If we want to spark interest in pigeon racing as a hobby and a sport, an effort has to be made in regards to reaching out to kids. After all, the fascination with pigeons is in its truest form in the eyes of a child. Their minds are not subjected to corruption by the lure of money that comes with the sport, nor would they care much about a pigeon's type of pedigree. They only care about the pigeon's majestic appearance, the beauty it emanates through its stark shades of aquamarine, and most of all, the grace displayed as it streaks through the sky. I can feel pigeon racing professionals laugh in jest at this genuflection, but let's not forget that most of us have been led to the sport because of these same reasons. As someone who spent much of his childhood racing pigeons, I have learned invaluable lessons that I still find useful as an adult. The sense of responsibility that one acquires in raising these magnificent birds is something that I'll always treasure. Racing pigeons have also instilled in me a competitive fire that few of my peers can match. The data gathering, the strict training program, and the meticulous feeding, etc. have all contributed to my sense of discipline. All these things played a big part in my success as a professional adult. Wouldn't it be awesome if your kids can benefit from the same hobby and in turn, make them better individuals as they grow up? If you love the sport of racing pigeons, stop for one moment and visualize a child smiling while a beautiful pigeon is perched on his right arm. Now that's truly a sight to behold. Dampness is a main source of the problem because it is generally the breeding ground for parasites and germs. Therefore, make certain that you change the uneaten food and untouched water. Dry the area every time there are spills and moisture. If there is a noticeable amount of food left, cut down on the amount that you give the bird. Make certain that the bird's cage or loft is kept clean. Don't allow any sort of lead items inside. Be careful with the use of cages manufactured in foreign countries as they tend to have high lead content. Don't place the cage or loft in a damp area. Parasites and fungus are likely to thrive in the habitat given this environmental setup. The pigeon is a unique animal in the sense that it is very comfortable with human beings. It is from the same family as with the doves. In fact, both of them are treated to be symbols of peace and love. Like athletes, these birds are molded to compete. That is why they are trained to become racing pigeons. Like any other creature, pigeons also have that sense of wanting to belong. The bird can't stand being away from its habitat. In cases when there is a loft assigned to it since its young age, it will always come back no matter what happens. This ability of the pigeon to return to its nesting places despite great distances is what is taken advantage of by the pigeon racing enthusiasts. The basic training of a youngster must be done by the handler himself. It is about familiarizing the bird with its handler. Later on, as the handler executes the commands, the bird learns to obey. This is also the time to build the bird's confidence regarding a direct contact with a human being. Training needs a schedule. You must have that effect on the bird to let it understand that you are working on a certain schedule. Likewise, a constancy of action is very important. Never ever confuse the bird by making command variations or interchanging them. With regards to the schedule, the racing pigeons become fully aware of what to expect from you at different times of the day. They will know when they will fly when they will be fed when the loft will be cleaned when the water will be changed, and so on. You will be surprised to find out that these birds are smart enough to adapt to your daily routine. If it is time to fly, you will see them sitting at the entrance of their lofts waiting for you. Like a child, the racing pigeons should also be disciplined. The best time to do it is when they are still young. A tender age is a great opportunity to curb any unwanted behavior. The good habits that they acquire will be brought on until they become adults. Discourage any display of bad behavior and give rewards or treats for good behavior. Sure enough, the birds will be flying around their loft. The next step is to basket train them. That means, taking them out of the loft and then releasing them to fly just outside the loft. Be sure to start it off in groups. Release them all at the same time. The younger ones often get scared at first and panic when they are no longer in one group. Give them the idea that they train so they will be fed. Before releasing them, they should be hungry. They know that there is food and water in the loft so their tendency is to make it home fast. Other treats should also be available to add to their excitement. Overall, the goal of training the racing pigeons is to enhance their so-called natural navigation system as well as develop in them the habit of returning to the loft at a faster travel rate. The first advice I can give you as far as breeding racing pigeons are concerned is that there are no guarantees. You can have two champions produce 5 baby pigeons that won't become champions or won't even be considered competitive. That's why you need to deliberate on many factors in order to become a successful breeder and produce potential champions. It's already a given that you need to use quality stock in order to increase the chances of breeding champions. There are three types of breeding: crossbreeding, inbreeding, and line breeding. You can use either of these three depending on the match you think will produce quality stock. The quality of the breeding bird can be assessed by the racing performance of its offspring. To increase the probability of producing championship caliber chicks, more than one test pairing should be administered. It's also important to keep in mind that a pigeon being a champion doesn't mean that it's a good breeder. There's a probability that a slightly inferior sibling can produce better offspring. Rules are not set in stone so it's important for a fancier to administer more than one test pairing. It's all a matter of achieving the perfect or near-perfect combination of genes. Here's an important tip. If you are planning on buying pedigreed pigeons, you have to ensure the credibility of the seller. The information tagged to the pigeon must be entirely accurate. A great avenue to verify the accuracy of the information is by looking for race results on the internet. Now that we mention it, using the internet is also an excellent way to look for pedigreed pigeons. Relying on the quality of the parents alone is not enough to produce championship pigeons. One has to look into three features to ensure a high probability of quality stock. These consist of the physical, physiological, and psychological features. Take account of these three key features in both the male and the female and the probability of producing quality stock should increase. • The physiology (fitness parameters). • Psychology (attitude and competitiveness). The best fanciers also realize that the race basket is the best determinant of a pigeon's racing qualities. It's more recommended to have pigeons with soft feathers. The pigeons should not be too big as well. You see, big ones are not good on balance. One reliable way to detect a good racing pigeon is when it leans forward while being handled. A strong skeleton is also of great importance. To test the strength of its bones, put some pressure on the breastbone and see if it's going to make a snoring sound. If it does, then that is certainly bad news. Keep in mind that physical characteristics don't necessarily make a champion. That's why you have to observe on a daily basis the behavioral patterns of your racing pigeons. Recording daily data on each of them will tell you a great deal whether they have the heart of champions. For the first-time owner of racing pigeons, breeding and racing these pigeons can be a tough challenge. There are some certain pigeon needs that should be considered, and its breeding and training are like Science. There is no room for lots of errors and untested training and breeding actions. That is because for it to become a successful breeding and racing program for racing pigeons, you need tested set of suggestions and verified rules coming from the ground. And it all starts with breeding up until racing. Training racing pigeons are an essential aspect of winning a pigeon race. However ideal the traits that your bird has acquired, the absence of proper training won't allow you to harness its full potential and winning is close to impossible. So how do you train a racing pigeon to become a winner? Let's start with the basic needs: food and shelter. Food for pigeons needs to be clean, fresh, and of high quality. Grains and grit are their primary foods but these will not boost their performance enough to win a race. Minerals and vitamins must be included in their diet which can be mixed with the water or with the food in the form of oil. It is highly important that the food should have low moisture content or else it will be susceptible to becoming a breeding ground for fungi, bacteria, and eventually become toxic to the bird. The shelter, specifically called "loft" for a pigeon house, comes in different styles depending on your desired functions. 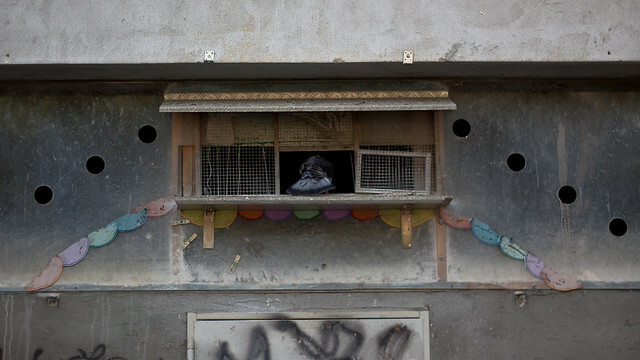 Most pigeon fanciers build multiple lofts in order to separate the males from the females as well as the young from the mature ones (or the unmated from the mated). The former is being done to have full control on breeding while the latter is often for pigeons which are not yet identified whether male or female. Lofts may come in different forms too. There's the "trap and landing board" for race pigeons, a "flypen" for those that are limited to fly freely, a "nestbox" for each pigeon especially that they are territorial animals, and numerous "perches". Every pigeon starts to live in a nest then must be transferred to a bigger loft after around 4 weeks. Once inside the bigger loft, the pigeon is trained to become familiar with its surroundings such as the location of food, water, and the entire look of the loft. Only after the pigeon's 6th and 7th week can it be made to fly higher and farther for practice. By this time, it is understood that the pigeon has developed already some capabilities to recall signs that it can utilize to get back to its owner or loft. Lastly, you need to make sure that you are closely connected with your racing pigeons. Flying and tossing them from time to time may always be a wonderful activity for both of you and which shall continue all throughout their racing careers. So don't be fooled by the thought that one great breed is enough to lead you to success. Training is very much a must. Pigeons can easily adapt to almost any given situation and this is why they are one of the best pets an owner could ask for. Give them their living essentials and the right environment, and they can easily do the rest. However, you have to be more meticulous when you want to raise a pigeon for racing. In this case, how a pigeon's loft is designed plays a big role in making sure that they will be raised to their full potential. Here is a breakdown of loft designing fundamentals that will help your pigeon become potential champions in pigeon racing. Like any other warm-blooded animal, pigeons need air as much as they require food and water. Make sure that the loft has openings where air can enter and escape. The openings can be placed on the roof or along the roofline. If air is scarce in the location where the loft is placed, installing exhaust fans should be able to help. Setting up an aviary also gives the pigeons the luxury to enjoy the fresh air at their own leisure. Pigeons need to be intimate with nature; a loft that allows them that luxury can make it easier for them to develop an attachment to their homes. Too much moisture inside and outside the loft increases the chances of your pigeons to acquire diseases. As a pet owner, it is your sole responsibility to ensure that the loft stays dry. It's a good start to keep the loft in a slightly elevated position. Placing the loft on a pair of stacked cinder blocks can definitely do the job. As for the height of elevation, 18"-25" off the ground should be good enough. This set-up allows air to circulate under the loft to keep it dry. Using a wooden floor also prevents the building up of moisture from pigeon droppings. A clean loft prevents pigeons from acquiring diseases that may affect their training and worse, lead to death. Administer regular cleaning to the loft by scraping unwanted dirt several times a week. As mentioned earlier, a wooden floor really helps since it can absorb moisture from droppings. As we all know, dry droppings are much easier to clean than wet droppings. And don't even plan on using formica type material for floors, perches or for any part of the loft that requires regular cleaning. Sure, the smooth surface makes it easier to scrape, but the stains that stick to it are bound to give you more headaches. Pigeons need and love the sun so make sure that your loft is accessible to the sunlight. Pigeons from time to time want to sunbathe which is why you need to make sure that the aviary gets as much sunlight as possible. Keep in mind though that too much sunlight can be bad, so a small allowance for a shaded area should be designated inside the loft. This gives them the right amount of sunlight and will provide them with Vitamin D needed for strong bones. Today's generation is fortunate enough to experience the wonders of modern communications. Letters are electronically sent in a matter of seconds via the Internet, and real-time conversation with colleagues from far away is now possible through Instant Messaging. Ah, thanks to technology. Did you ever wonder what was it like a thousand years ago, when an ancient man was still one with nature and empires were just about to be built? Tribes communicated with each other through pigeons, and the racing pigeons were animals that were revered by many because of their speed and agility. The great civilizations from East to West made full use of the racing pigeons as messengers that deliver important messages coming from the emperors out to the most remote areas of their lands. As empires expand, more and more racing pigeons were sent out to the sky. Because of their intelligence and swiftness, racing pigeons were regarded as prized possessions during the ancient times. Just imagine empires having only horses and caravans as their message-carrying tools. It would take weeks before messages can be exchanged from one area to another. Animals that travel by land are also more prone to danger, especially during warfare. One famous incident in history where racing pigeons proved their worth was when Napoleon was defeated in Waterloo. No other person knew about this event right away, except for Count Rothschild, who got this first-hand information through a racing pigeon. This knowledge enabled Rothschild to make decisions way before other persons had a chance to meddle. He was able to collect a large amount of money to start up a banking dynasty. Racing pigeons were not only used as an important military weapon. During the Industrial Revolution when people started to revolutionize their way of thinking, racing pigeons were used as news-carriers not to aid a war, but to keep people informed about the society. Julius Reuter, the founder of the world-renowned Reuter News Service, was actually established as a line of pigeon posts. Up to this day, the symbol for many European postal systems is a racing pigeon. As years go by, a lot more people have taken to raising pigeons. Gone are the days when only the nobles can have them. Most of the time, these birds are seen with racing enthusiasts, with the birds as the main attraction. The most successful modern racing pigeons were developed in Belgium. They were a result of a cross between the Cumulet and the Smerle. The Cumulet is often described as a pigeon that has the ability to fly high and can be gone out of sight from the sky. The Smerle, on the other hand, doesn't fly as high as the Cumulet but is much faster and hastier. It's no surprise that the Belgians were the ones who first enjoyed the hobby of pigeon racing. The first long-distance pigeon race was in Belgium in 1818. After 1875, the hobby of pigeon racing gained popularity in England. In the 19th century, the popularity of the hobby reached the United States. 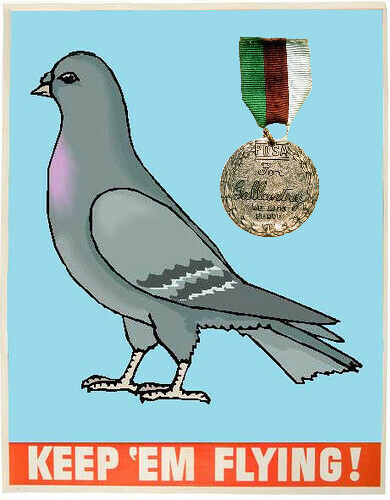 Today, the world continues to be enthralled with the speed, endurance and the intelligence of racing pigeons. Amidst the technology that we have today, these pigeons still surely know how to get our fancy. Take into consideration the fact that pigeons rely on their internal compass, navigational skills, and homing instinct in order to fly to a designated point at the shortest route possible. You may have the fastest pigeon in a race, but it won't really matter if it doesn't fly in a straight line towards its goal. The more intelligent pigeons can orient themselves really well to any given location and have an innate feel for its coordinates. These types of pigeons can be found by looking for bloodlines that can fly at very long distances. Young ones can fly at a distance of 300-350 miles while yearlings can fly up to 500 miles. These progenies are able to benefit from the genes of their parents whose long flights have helped them develop their intelligence as long-distance flyers. The ability to stay in flight for long hours has provided them opportunities in developing their decision-making skills in times of fatigue. These birds also have extensive experience in dealing with any type of weather, which should be beneficial given the fact that the weather can be unpredictable at times. This is why pigeons that are competitive in short races don't necessary become winners when joining long ones. Not having the experience to brave the hazards of long flights, these pigeons didn't get to hone their heart, intelligence, and stamina. Most importantly, their homing instincts are too undeveloped to be able to spot the shortest route; these pigeons also tend to lose their way easily. As a result, short distance racers quit at the slightest provocation. Keeping the pigeons healthy is also very important and that is why physical conditioning should always be administered the moment a young pigeon learns to fly in order to develop strength, stamina and recovery time. This means having them fly consecutive weeks at a distance of 200-350 miles. The moment you spot a pigeon that easily gives up after a few weeks, no matter how fast it is, is the time to judge that bird as incapable of winning any race competitions. It is important that you verify the accuracy of the information tagged to a pigeon before making any purchases. Lastly, make sure to have a holistic approach to picking the right racing pigeon. If you take stock of a pigeon's mental faculties as well as its physical ones, you just might be on your way to raising a champion. As what other people say, "True love always finds a way". This is certainly true to all the long-time fanciers of racing pigeons, who have learned to remain within the circuit despite the bad economy. However, how about those who are just starting out? There are several out there who are just beginning to be fascinated with racing pigeons but are doubtful to embrace the inkling of breeding them, mainly because of money constraints. If you are among those who wish to start a family of racing pigeons but is currently on a tight budget, read on the following tips and use them as an essential guide. Doing your research is the first step in achieving considerable knowledge about racing pigeons. Read more about them and familiarize yourself with the how's and why's of breeding and training them for competition. Of course, your knowledge should not be limited only to what you've read. You should also go out and ask about the fanciers in your area. Their inputs would be very helpful especially on how you can get the right racing pigeons even when you're on a budget. Before you start purchasing racing pigeons, you must first find a suitable loft design. It doesn't have to be large nor expensive; you just have to make sure that it would house your birds comfortably. Building large lofts would only equal to bigger costs. For example, in some places, there's a building code that if a structure goes beyond 100 squares feet, the building department would already require you to pay for a building permit. So there goes an additional expense on your part, and who knows, there might be more to come. Don't think that not having a large loft is a disadvantage. Having a small, yet well-built loft is actually more beneficial to you and to the other people surrounding your backyard. What you can do is to perhaps build three, separate small lofts: one for breeding, another one for racing, and lastly, for fancy birds. This way, you can easily control and maintain each one of them, depending on their needs. It is always easier to trust someone whom you already know. If you have a friend who's also a racing pigeon fancier, then that's good for you. He can walk you through the ropes of finding and buying pigeons of the highest quality but are not that expensive. If he's the one who sells pigeons, he can definitely give you some discounts on your first purchase. If you want to get better deals, then you have to be keen and patient in finding for pigeon sales around your area. Gather some sales catalogs, and wait patiently for these sales events to commence. Control yourself from buying just any kind of racing pigeon; you just have to be persistent in looking for the right bird at the right price. Don't worry; those who organize these sales events surely have the finest birds at an affordable price.